It's always interesting to see trends developing in boutique names. To judge from two recent openings. Fix and Workshop, utilitarian brevity is in. 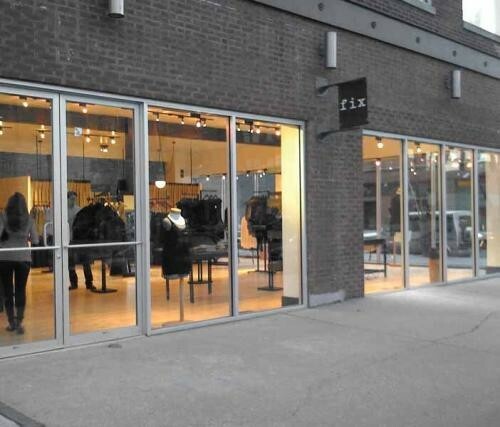 Fix, located in the Fulton Market area next to Pivot, is sleek and understated, with white walls, blown-up photos of camper vans, and light tables functioning as display fixtures. Men's and women's clothing is similarly unfussy, for the most part: lots of jeans and tops in white, cream, gray, and black. The ladies' collection is sprinkled with wearable dresses, skirts, tunics, and other items in cheery prints, colors, and textures, including a velvet damask spaghetti-strap tank top by Tucker and a sleeveless blue-printed silk wrap top by Robert Rodriguez. For a survivor of the 80s like me, though, the sight of gray acid-washed denim cutoffs was somewhat horrifying. Men's stuff sticks to comfortable classics—rumpled button-downs by Steven Alan and henleys by Rogan. The jewelry was especially eye-catching, particularly a Renaissance-looking gold ring in the shape of a fleur-de-lis. 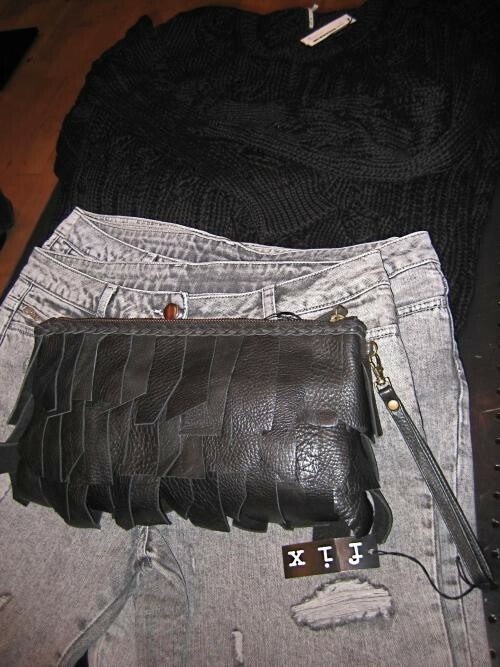 Most items look to fall between $150-300, although prices can go up to $900 for big-ticket pieces like coats. 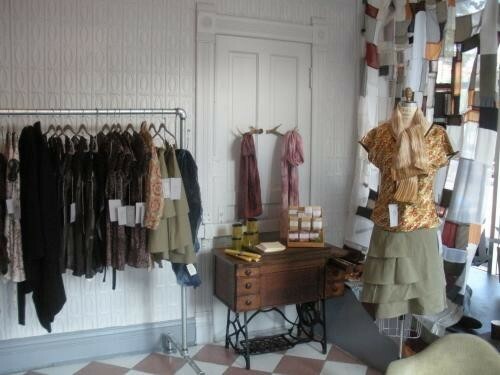 Meanwhile, in Pilsen, Annie Novotny of Frei Designs opened Workshop, her combo store and studio, about a month ago. Novotny put in time at Robin Richman and the store evokes a similar vibe of organized artsy clutter, but with a homier feel. 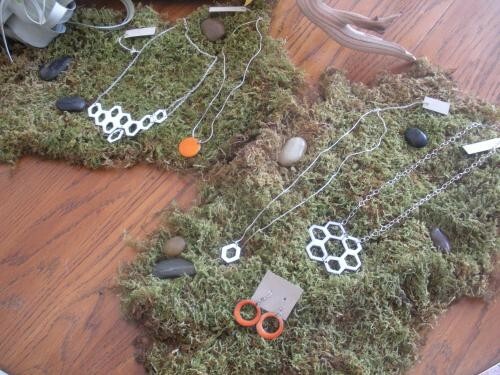 Novotny shows the entire collection of her sustainable line for women here (it ranges from $130 to $600), as well as accessories and jewelry by local designers such as Trapeze Artist.